Marketers & salespeople of all industry types should know their customers. There is no excuse to that. If you don’t know about your customers, how will you market or sell your product/service to them? You must have certainly heard the term “buyer persona” & the statement that “the buyer now controls the sales process” being tossed around the world of trade today. Putting together both, it can be said that developing buyer persona is important in this age where the prospect is smarter than ever before. Buyer persona ain’t a new thing. All credit goes to well-known software designer Alan Cooper, who came up with the idea of personas back in the 90s. In simple terms, a buyer persona is a fictional but data driven profile of your ideal customer. Buyer persona tells what your prospects are thinking which will help you to make marketing decisions regarding where to place ads, what product/service feature to focus more, what blog posts to write, which marketing mediums to use to promote business etc. In essence buyer persona should be the North Star for today’s marketers. 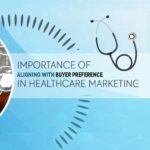 But despite their importance, there are still confusions regarding their usage & many marketers are keeping their buyer personas in the closet. Main problem is that they create the buyer persona based on their interpretations of getting to know a prospect & don’t understand what to do with them. Marketers should focus on describing who your ideal customer is moving forward instead of who your customer is right now. Who will have maximum benefit with your product /service? Who will result in best ROI? Who will keep coming back to you & refer to among their friends? That’s an ideal customer. Even though they are fictitious, the buyer personas should be based on real data. Research well, take advantages of the statistics & scour through all your accounts. 2.Understanding what your customer needs. Once identifying who the customers are, the focus should be on meeting their needs. Use buyer persona to foresee their problems that they can’t solve. What they are looking for & what trends can impact their businesses or lives. At the end, buyer personas should be about helping you predict customer behavior instead of just describing them. The only way for this is by understanding their pain points, needs & desires. 3.Your customer’s patterns & buying behavior. With the factors that are discussed in sections 1 & 2, craft a profile as per the buyer persona’s behavior. Where your customer spends time? What source of information they trust? What marketing mediums they prefer? Do they buy online or offline? Do they research about products before buying them? Once you have all these in place, you can proudly say that a perfect buyer persona has been crafted that can be used to make marketing decisions. So far, so good, but as majority marketing concepts buyer personas are not all alike, a buyer persona for B2B should be developed differently as compared to the one for B2C. A normal B2C buyer persona will normally include a lot of personal information, related to where personas reside, what their taste & interests are etc. All of these are highly relevant if you are offering your products/services to end customers but won’t make any sense if you are targeting businesses. When you’re marketing your products/services, you are interacting with someone who’s a representative of the business & you should be targeting the needs of the business instead of the person’s. Here business is the persona. Facts & figures about your persona’s industry, the company’s strength in the industry, its size and revenue, etc. The persona’s intentions as well as the obstacles they face to achieving them. How your service/product can soothe their ‘pains’. How their decisions are made, what they value most, what kind of help they are looking for. What all they need to know to make up their mind and choose you? In essence, the B2B buyer persona you craft should help you identify how you can help in creating desired changes for your client. Knowing the customer is winning half the battle. Whom do you normally engage with, executive level guys, managers or directors? If unsure, spend a few minutes on research, investigate on LinkedIn or ask to your sales team. Identifying the education level, professional background, skills, abilities & team structure can go a long way in individual profiling. 2.Knowing how a “Day in the Life” will look like for your buyer persona. Where does your prospect spend more time on, LinkedIn or Twitter? From where do they collect information? What professional groups are they member of? Knowing what type of content they consume more & how engaged they are with professional development is also important. Filling out firmographics is damn important for B2B organizations. The organization’s size, industry to which they belong, associated challenges, the location they are in, organizational goals are all essential in qualifying the lead. 4.How to interact with them. If there is a chance for your persona to become a lead, you will need to know how to nurture them. How they prefer to interact (phone, email, etc.) Knowing how to follow up with the personas will help you to optimize your lead nurturing campaigns & increase the amount of sales qualified leads. Finally when it comes to making the purchase, what factors will push & what factors will become barriers? Is the organizational structure too challenging which can result in perceived need by senior management? Is pricing & budget standing in their way? And what uniqueness the prospects felt in your product/service which resulted in the push or is it because of urgency? Extract as much as information possible from whatever sources you can find. Anything you have in your hand can be analyzed to see if they come in handy. Also, make sure that your buyer persona remain distinct enough & do not overlap in too many areas. 71% of corporates who surpass revenue and lead goals have documented personas vs. 37% who simply meet goals and 26% who miss them completely – Buyer Insights Benchmark. Want to start developing buyer personas for your marketing campaigns? Mastermind buyer personas by attaining top-grade marketing leads from DataCaptive & win over competition. Finally, for pete’s sake once you have your B2B buyer persona – please use them instead of locking them up in the closet. Include them in the marketing documentation, train your staff with them & have your sales people study them. Also, revise them from time to time. People & businesses are not static anymore in our fast moving world, neither should be your B2B buyer persona.